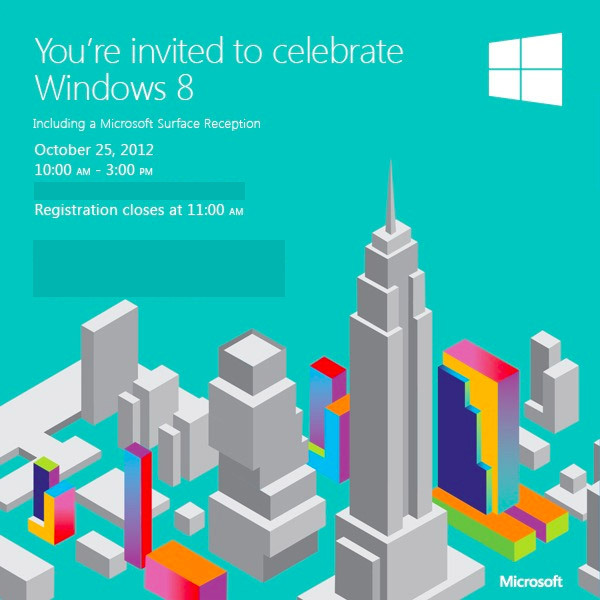 Microsoft Australia today just sent out the invitation to the official Australian launch event for Windows 8. The invite is to be held in Sydney on Friday the 26th of October 2012, just eight hours after the New York US launch event is scheduled to start on the other side of the world separated by 15 timezones. Historically, Microsoft held Windows launch events on the same local date around the world which meant Australians were at an advantage as one of the first countries to usher in the new day. But not this time. Looking back, Windows 8 will launch (in the US) exactly 11 years after Windows XP launched on October 25 2001. A lot has changed since. I think I’ll wait until Windows 8 with SP1 is available before jumping into Windows 8!